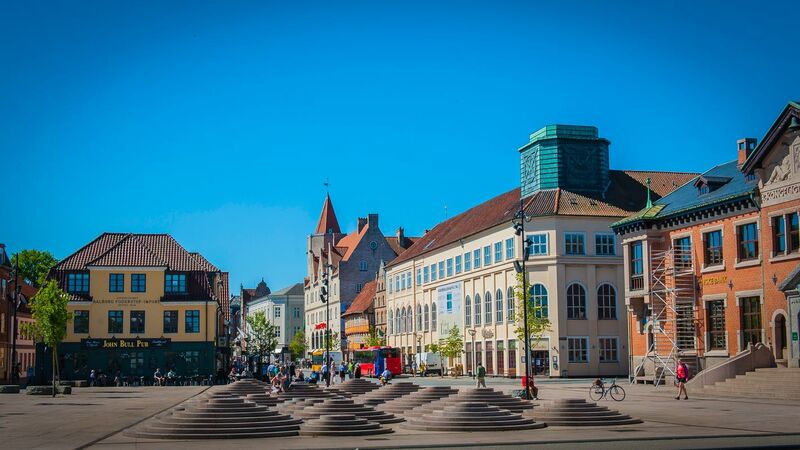 With a history stretching back 1000 years, Aalborg has since claimed the status of being Denmark’s fourth largest city and serves as a major stop for venturing into North Jutland. Old churches and buildings offer a retreat back in time. This is the fourth largest city in Denmark but has not really seen a large tourist invasion. The port is being updated and was nice because we docked right next to the action. The city is very pedestrian friendly with lots of shops and restaurants. This was a great place to spend the summer back in the day. I had a wonderful time on the beaches. Although it was not very warm, and the water was freezing, I still managed to get quite a sunburn. I spent half a year in this city a few years ago. Aalborg is a splendid and compact city with comprehensive transportation network, you can easy access to any tourist spots that interests you. Aalborg is not a densely- populated city. There is no traffic jam and you can go from the one side to the other very fast. It's a picturesque place with some of the characteristics of Scandinavia.